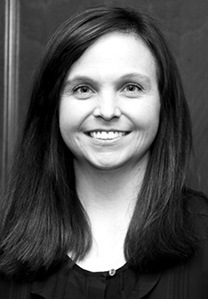 Sarah Beth Guffey, deputy clerk/bookkeeper for Kentucky Court of Justice Office of the Clinton County Circuit Court Clerk, has been selected to participate in Kentucky Farm Bureau’s Leadership Enhancement for Agricultural Development (LEAD) program. Guffey joins 14 other Kentuckians for LEAD’s two-year, intensive learning experience – a program that KFB created to prepare future agricultural leaders for tomorrow’s challenges. The 2019-20 LEAD class was announced during KFB’s annual meeting in Louisville. LEAD is designed for Farm Bureau members between the ages of 25 and 40 who are currently involved in agriculture or a related business and want to increase their leadership effectiveness and involvement in Farm Bureau. Through small group training, participants learn methods to access and process information, analyze and evaluate issues, formulate their own beliefs and articulate them clearly and effectively. Class members are exposed to formal and informal instruction, group discussion, and application of knowledge and skills gained through the program. Areas covered over the two-year coursework will include personal and professional development, leadership skills, communications and media training, agriculture technology, the legislative process and Farm Bureau’s role and involvement in lobbying issues affecting agriculture. To enroll in the LEAD program, an individual must first be nominated by a Farm Bureau member, then approved by the county Farm Bureau president. A KFB-appointed selection committee reviews the qualifications of each applicant and determines the final class roster. During 2019-20, the LEAD class will participate in six two-day meetings, two Farm Bureau annual meetings, the 2019 Congressional Tour to Washington, D.C., and an out-of-state agricultural tour in 2020. Guffey, a graduate of Eastern Kentucky University and Western Kentucky University, currently resides in Albany, Kentucky.